They are worn to make a fashion statement, to protect the head from the elements, to honor one’s faith or to hide bed head. Just about everyone owns a hat. Calling the above hats is an understatement. 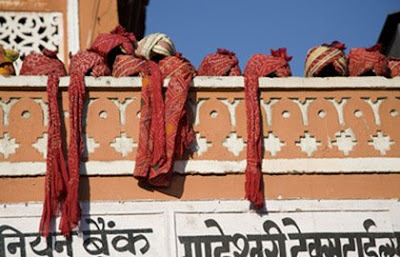 These magnificent turbans were on display in the Pink City of Jaipur, India. 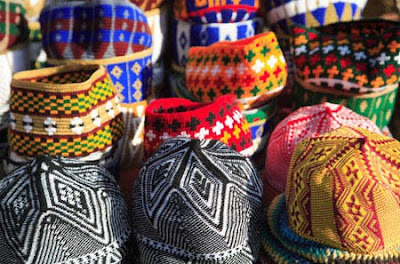 These woven caps were abundant and so were the colors that made them stand out in Marrakesh, Morocco’s souk. 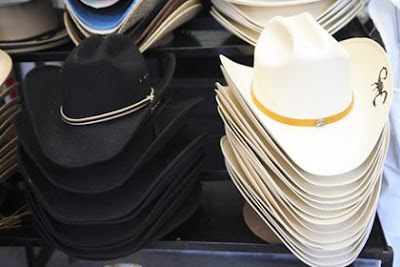 Cowboy hats are worn throughout Mexico. They were on sale at an artisans market in Mexico City. Check out the scorpion logo. I have to agree with Lakshmi - I love this series! Thank you so much. I'm glad you like this series and your feedback is appreciated. It helps guide what I blog about. Even I like this series very much. I love it. I'm a total hat girl. One of my favorite things while traveling overseas was photographing hats for sale in local markets, particularly Ireland. Wonderful post! One could do an entire book on hats of the world, I suspect! Thanks for sharing! A book would be a lot of fun.